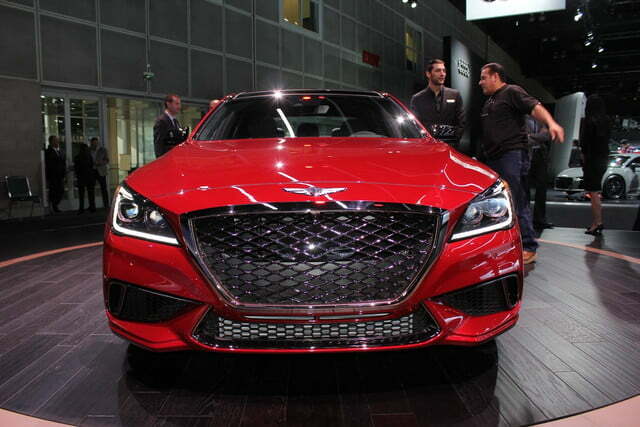 Hyundai’s newly formed Genesis division has shown it knows how to build a true luxury car with the G90. 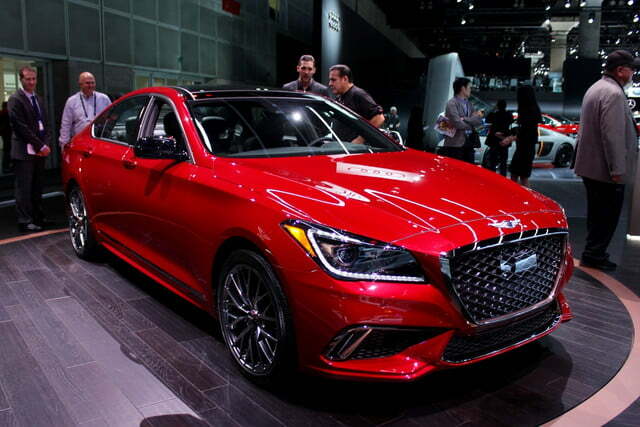 The brand is now out to prove it can dabble in sports sedans, too, by launching a more muscular version of the G80 named simply Sport. 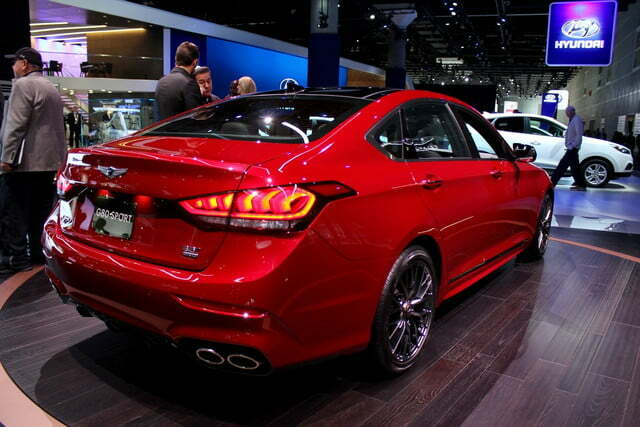 Introduced during the Los Angeles Auto Show, the G80 Sport is powered by a new, twin-turbocharged 3.3-liter V6 engine. The six-cylinder generates 365 horsepower at 6,000 rpm and 376 pound-feet of torque from 1,300 to 4,500 rpm thanks in part to direct fuel-injection, though performance figures are still under wraps as of writing. The only transmission available is an eight-speed automatic that has been tweaked for use in the Sport model. 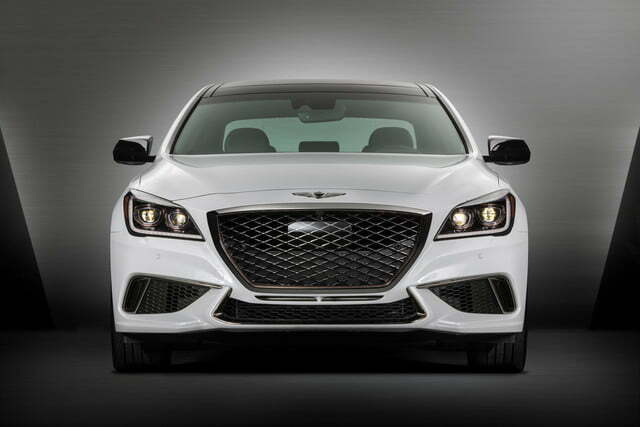 Genesis has fitted bigger brakes on the rear axle to keep the power in check, and upgraded the suspension to provide a firmer, sportier ride. 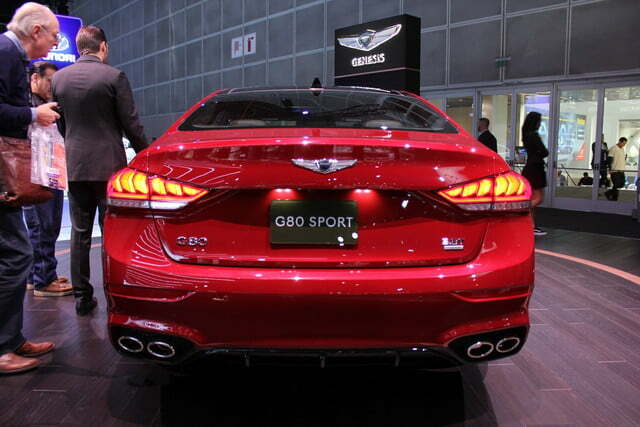 On paper, the Sport is markedly more engaging to drive than the G80. 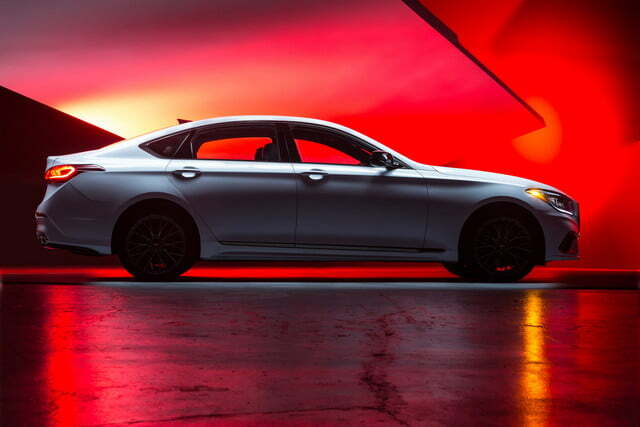 It doesn’t take a well-trained eye to tell the Sport apart from the standard G80. Up front, it receives a model-specific bumper with aggressive-looking air dams, mesh inserts in the grille, and dark chrome trim. 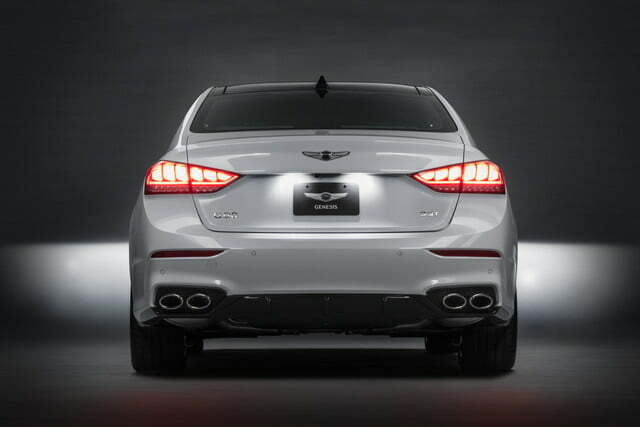 Out back, the G80 Sport gets an air diffuser built into the rear bumper and four exhaust tips. 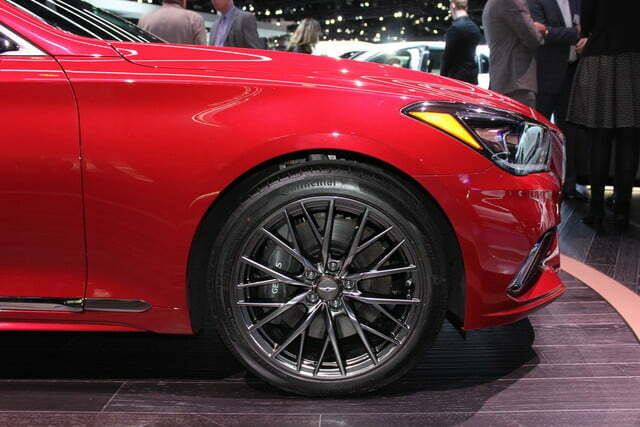 19-inch alloy wheels add a finishing touch to the look. 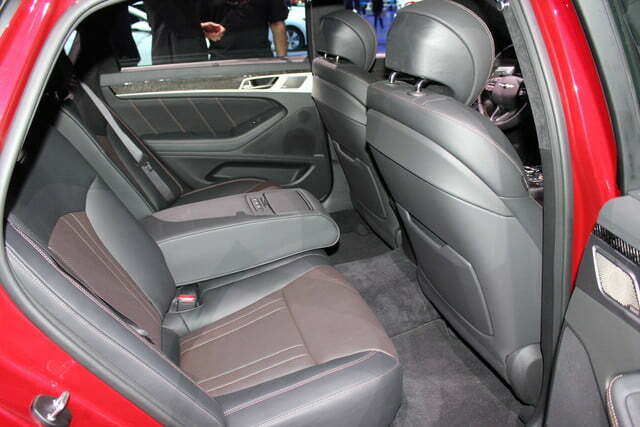 The performance theme continues in the cabin with leather-upholstered bucket seats for the front passengers and real carbon fiber trim on the dashboard. 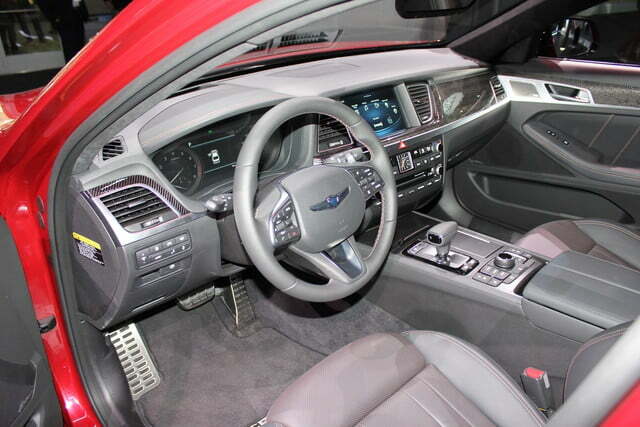 The driver also benefits from a thick-rimmed steering wheel and sport pedals. Like all variants of the G80, the Sport is compatible with Android Auto and Apple CarPlay. 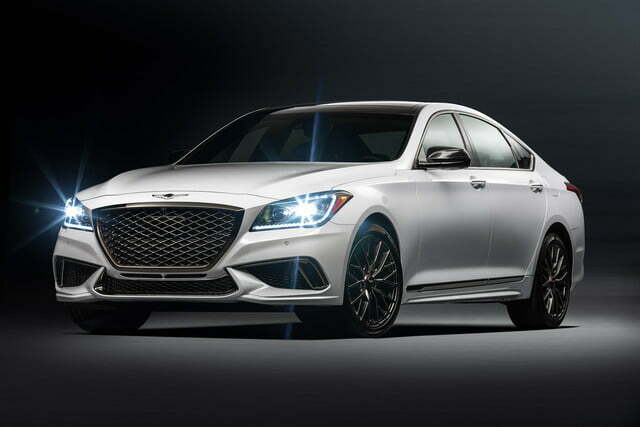 The 2018 Genesis G80 Sport will begin to arrive in showrooms next spring, and pricing information will be published in the weeks leading up to its on-sale date. 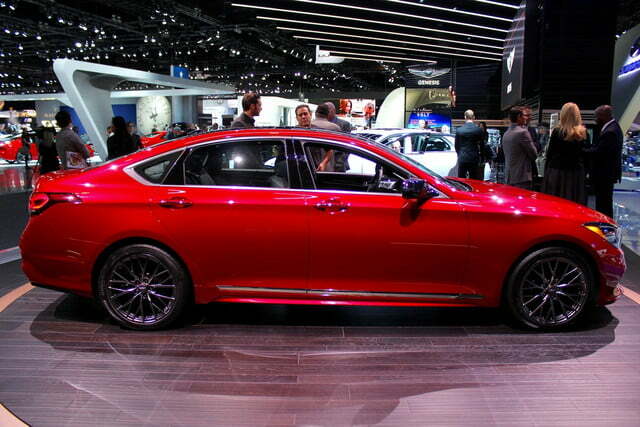 Hyundai’s sport-focused sedan is aimed right at the Mercedes-Benz E-Class, the BMW 5 Series, and the Volvo S90.